I think we can all agree that $20 doesn't go very far. I'm especially reminded of this when grocery shopping. Remember the opening sequence of the "Mary Tyler Moore Show" when character Mary Richards picks up a package in the supermarket, glances at the price, rolls her eyes, and pitches it in the cart? That's me. Times 100. It's not all walking around the lake and tossing your beret in the air, is it, Mary? Nevertheless, $20 can still bring some loveliness or convenience or fun or even do some good. 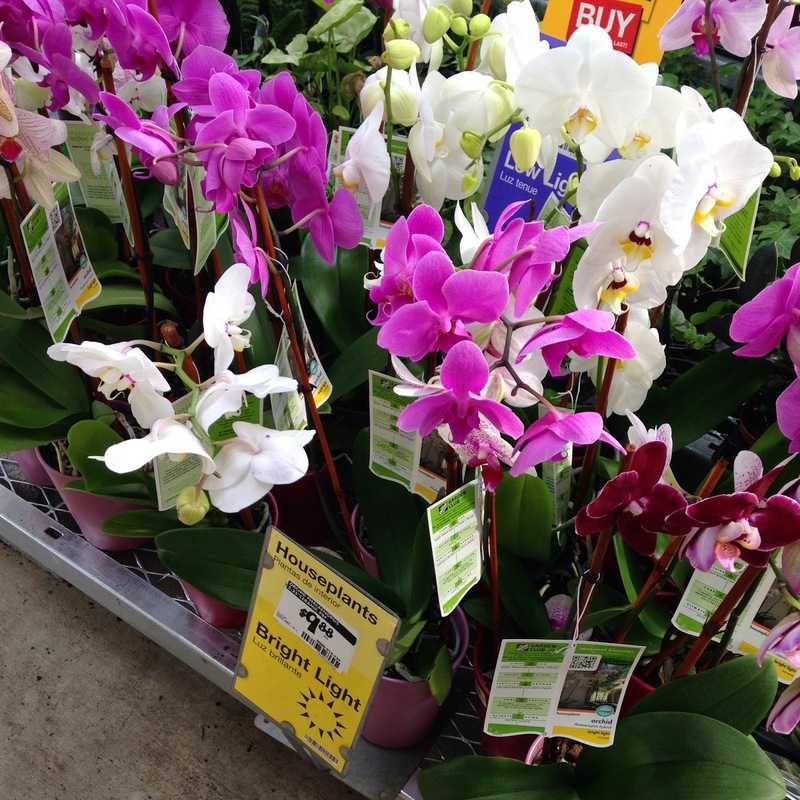 This month, the best $20 I spent was on some gorgeous orchids from Home Depot. Someone I follow on Instagram posted that she picked up half a dozen orchids for $10 each at our local HD. Instantly, I knew what my lunch plans were: protein bar and 10-minute drive to Home Depot. Unfortunately, my neighborhood HD had already been cleaned out, so I drove another 15 minutes to another Home Depot, where the orchids had yet to be discovered. The bad news is they were all potted in pinkish-mauvish ceramic containers. Ugh. I began mentally taking inventory of what I had on hand to re-pot them in. As I did that, I sorted out the best of the lot. 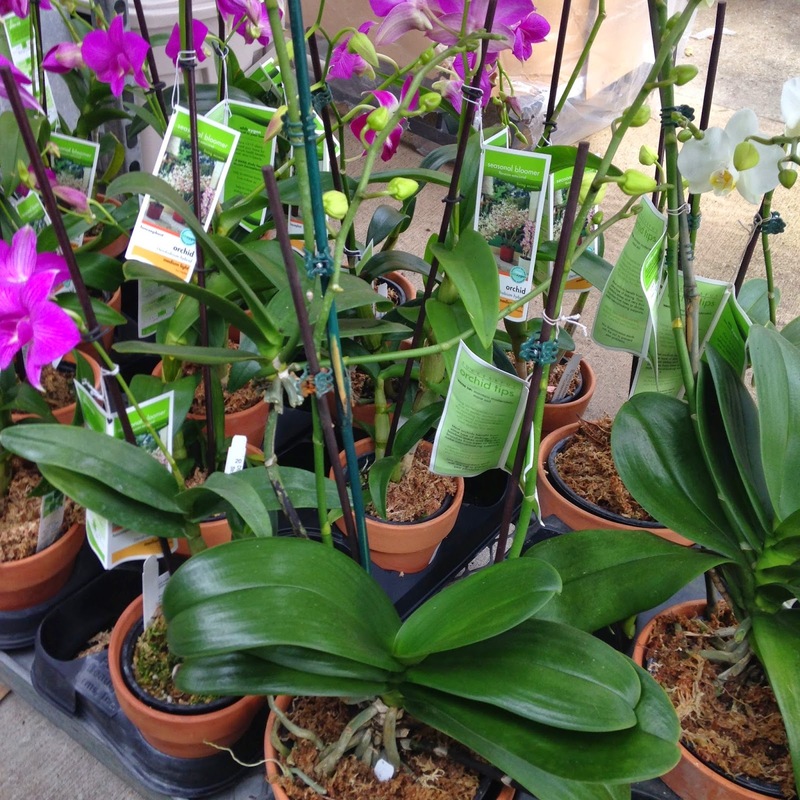 And then, out of the corner of my eye, I spotted more orchids, also priced at $10, in clay pots. 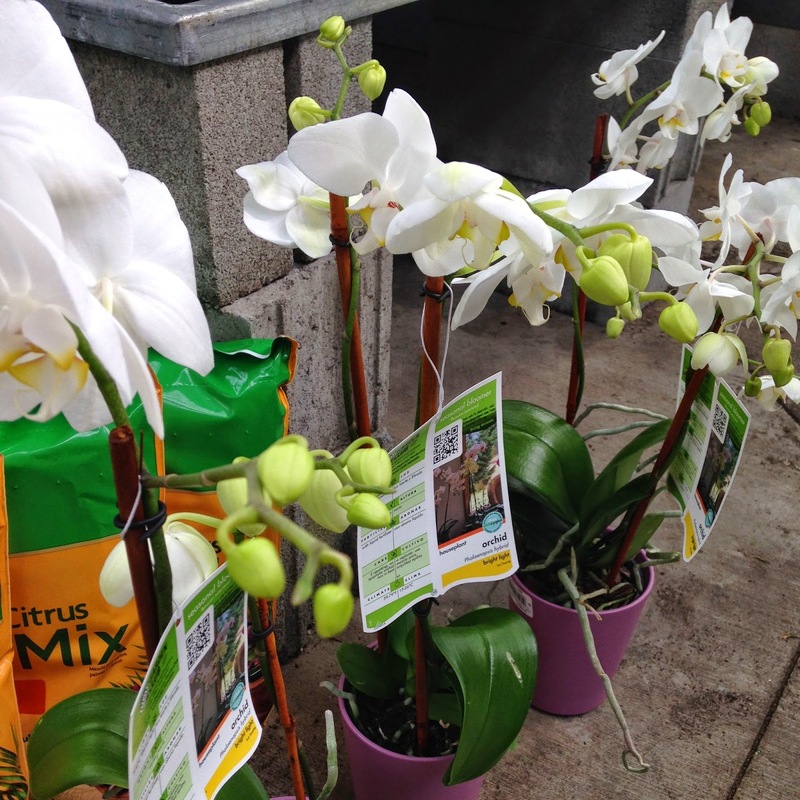 The pots were small, six-inch pots, but the orchids looked healthy. And ten dollars. 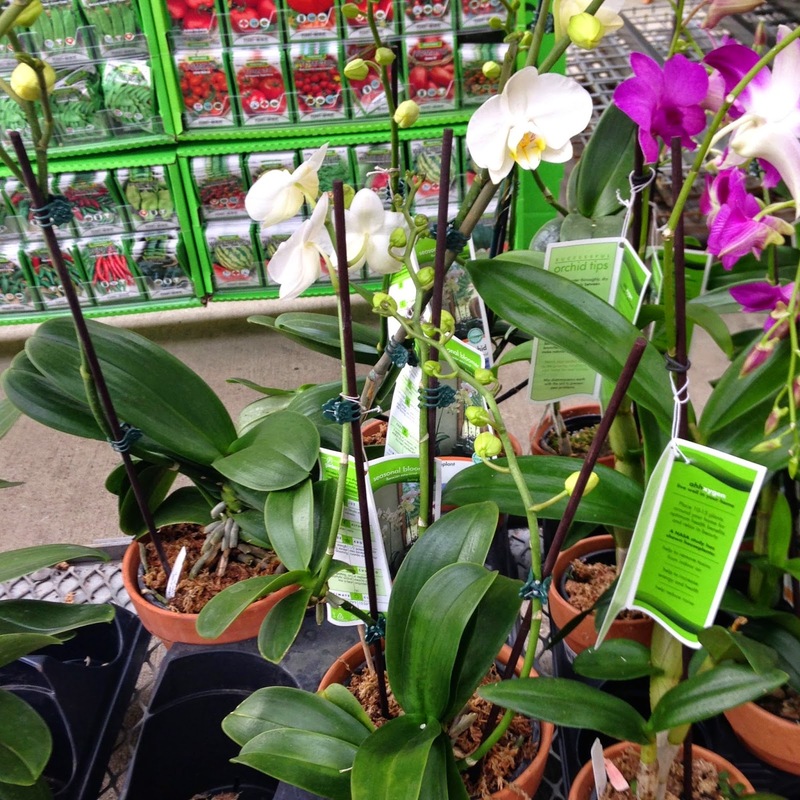 So I began choosing the ones I wanted, when I glanced behind me to find another rack of orchids, also priced at $9.99 in 10-inch clay pots. At this point, I seriously thought about buying 10 because these orchids were crazy big and healthy with three or four stems each and loads of buds. But, then, I thought about grocery shopping and tuition, and I decided to stick with only two. Twenty-one days later, and they look even better than when I brought them home! Orchids like bright light and not much water. In fact, I water my orchids on Wednesdays. They each get four ice cubes. That's it. I hope we'll enjoy them for months to come. 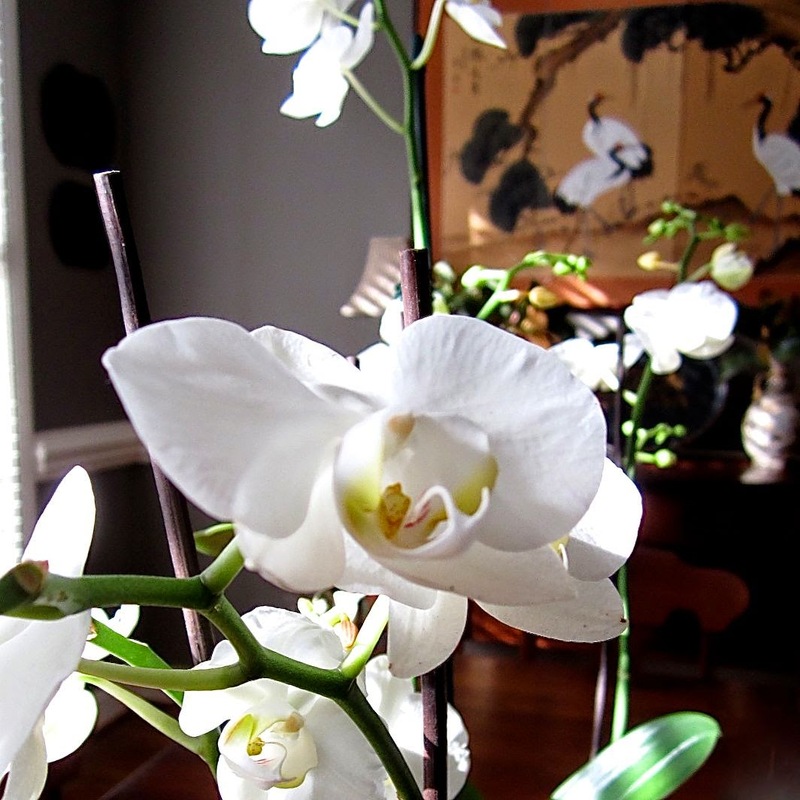 I first became an orchid fan when I read Susan Orlean's book, The Orchid Thief. 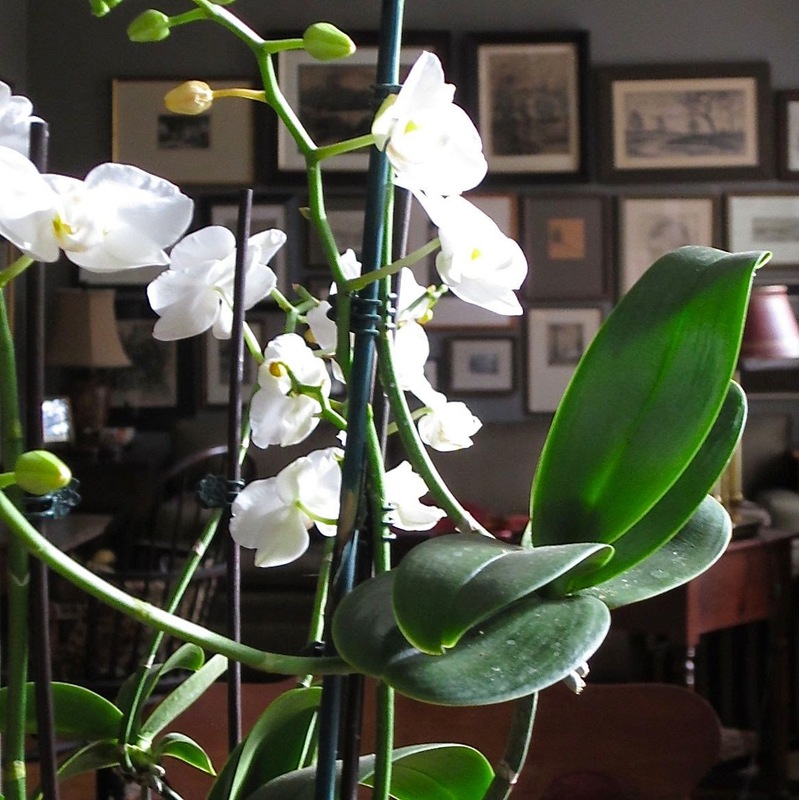 It's the true and fascinating story of one of the most obsessive and charismatic orchid collectors and dealers in the world. Published in 1998, the book is still widely available in lots of formats. 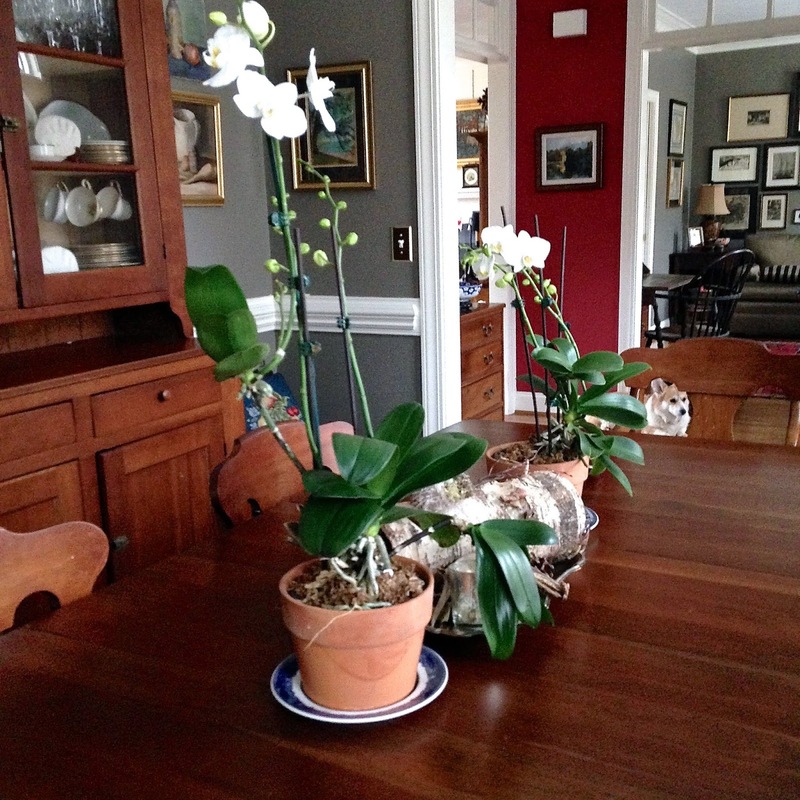 I'm slightly acquainted with someone who spends $700 a month on orchids for her house. People are passionate about orchids, I guess. What's the best $20 you spent this month? I'd love to hear! When the Mister and I first began keeping company via long distance, we wrote a lot of letters, getting re-acquainted. When he invited me to visit him in Florida, he asked what I'd like to see and do while I was there. Walt Disney World? Well, sure, okay, but I'd recently read an article in Southern Living magazine that described the central Florida town of Mount Dora as a charming spot for antiquing, so, of course, that's where I wanted to go. The soon-to-be Mister was slightly intrigued, but most important, he was agreeable. We've been antiquing ever since. Sometimes, we're kind of competitive about it, each of us trying to score "a find" to surprise the other. More often than not, the Mister does the first walk-through with me, and then finds what he calls "the bored husband's chair" or bench, where he reads, catches up on email, or people watches. You see, I look for furniture, rugs, Imari porcelain, sterling silver, paintings, silhouettes, lamps, textiles, toleware, wooden boxes, miniature brass fenders, Rose Medallion porcelain, tartanware, Blue Willow and Canton porcelain, quilts, needlepoint, vintage holiday decorations, brass keys, baskets, pottery, decoys, and the Mister looks for bottle caps (don't ask me, I really have no idea, but they're cheap) and old signs. I like old signs, too, but there's a worrisome possibility that incorporating too many old signs into our decor will result in a look that's more Cracker Barrel than I'd like. But then, there's love. And so when this large two-sided Apples sign appeared on my radar, I knew it would make the perfect Valentine for the apple of my eye. I envisioned it in our finished basement den, where most of the Mister's other signs have found a home. Apples, however, fit perfectly in our kitchen, and the punch of red is cheering, especially this winter. Keeping the Apples sign company are a couple of signs that the Mister found at an antiques mall on Amelia Island. These signs are from an old A&P supermarket. Originally, they would have hung from the ceiling to help shoppers find specific items. We have another A & P sign that's marked Canned Vegetables, and it hangs on the wall above the pantry door. Occasionally, the Mister has added a sign to his collection that he simply found. 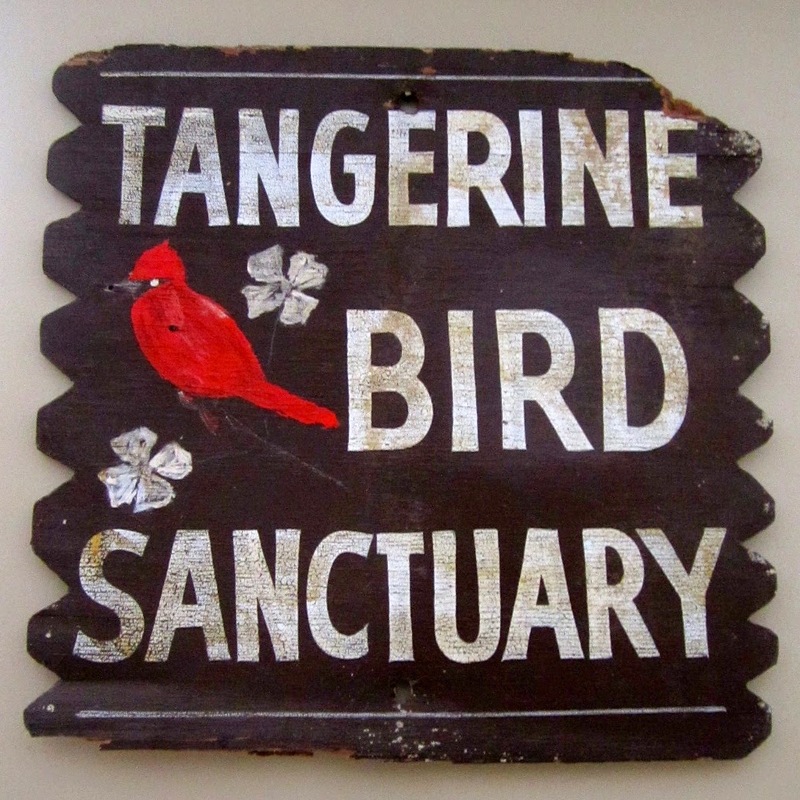 For years, the Mister drove by this Bird Sanctuary sign and admired it. One of several in the Tangerine community of central Florida, this sign captured the idea of Old Florida for him, and when it at last rotted off its nail and fell to the ground, the Mister swerved off the road and scooped it up. The five of us were on our way home from church, and come to think of it, he didn't swerve off the road. When he noticed that the sign was not hanging in its usual spot, he stopped the car in the middle of the road, hopped out, and threw the sign in the back. I seem to remember that a discussion ensued. I found the Locust Lodge sign on an anniversary trip to Asheville. I spotted it before he did, and he was so jealous. Luckily, it was very affordable, and not long after we were home, the Mister was researching Locust Lodge. As it turns out, LL was a boarding house/inn in Hendersonville, North Carolina. The Mister even scouted out its location and drove us by the decaying property months later. Okay, so we're not purists. Of course, the bear sign is new. We purchased this when Big was a tiny tot, and I thought it would be cute in his room. I do think it was locally made, so that's something, at least. Our Steak Sandwiches sign is a fond reminder of a happy vacation trip to Maine. Maple Spring Beverages decorated the boys' room years ago and now hangs in the basement den/rec room/man cave. It's a metal sign, and may be a reproduction. If it is, it's a really good one. Honestly, I think it's the real deal, but you do have to be careful. If you're interested in old signs, you can read about how to spot reproductions in this article from eBay. We really prefer old wooden signs, which are also manufactured today to look old. If you don't know a sign's provenance and you're thinking of purchasing it, the best advice I can give you is to love it whether it's old or not. And, honestly, that's good advice for lots of other things, too! 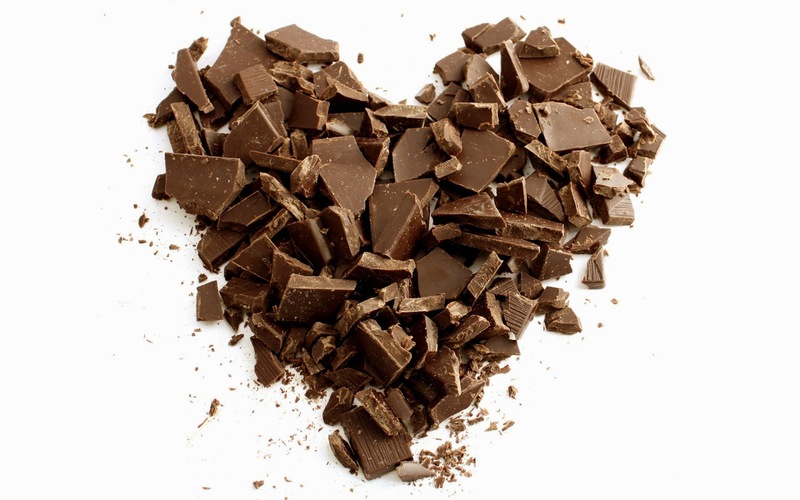 I hate to be an alarmist, but the Mister was listening to a podcast this morning of NPR's "Planet Money," and, y'all, on top of everything else, there's a worldwide chocolate shortage! And right here at Valentine's Day, too. If you, like me, find it difficult to celebrate holidays without a little bit of candy, then this news is rather distressing. 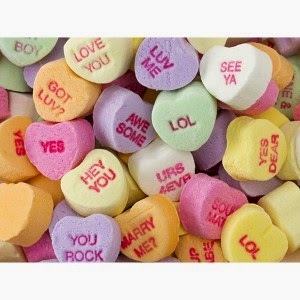 I'm sure the ubiquitous Valentine Conversation Hearts are still plentiful. I mean, does anyone really eat those? I consider them purely decorative as is the case with most non-chocolate candies. Except Twizzlers, which are neither decorative nor edible. I have a sweet and charming co-worker who always keeps candy on her desk, and most of the time it's individually wrapped Twizzlers. All day long, I see staff members slip into her office to pick up a Twizzler. I am not even tempted. Twizzlers are the liver and onions of the candy world. In light of the disturbing news about chocolate, I thought I'd share one of my favorite (and chocolate free) childhood cookies. 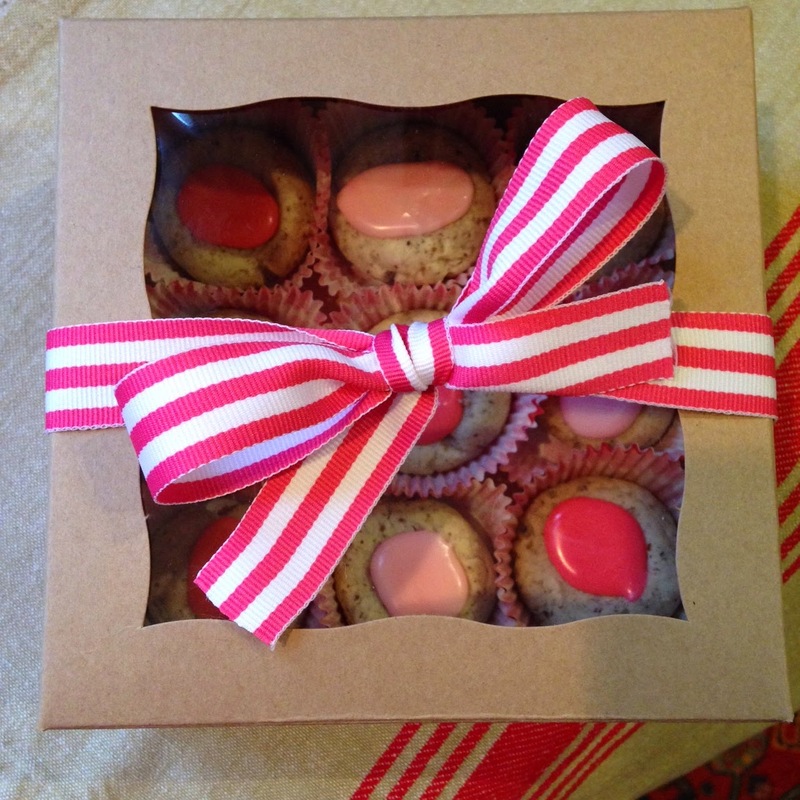 These make perfect Valentine treats. When I was a young girl, my mother bought our groceries in a small shopping center that included Bowen's Jewelers, Henderson Drugs, Coffin's Shoes, the S&H Green Stamps Store, Nancy Lynn Fashions, Crenshaw's Children's Clothes, and, best of all, Wade's Bakery. Wade's was a Knoxville tradition for fancy cakes, but occasionally my mother would take my brother and me for a cookie or small treat. Walking in the sparkling white store, I would breathe deeply the heavenly aroma of butter and sugar before selecting something from the gleaming cases. Usually, my choice would be three thumbprint cookies, one yellow, one pink, and one green, each wrapped in white parchment and tucked into a tiny white sack. 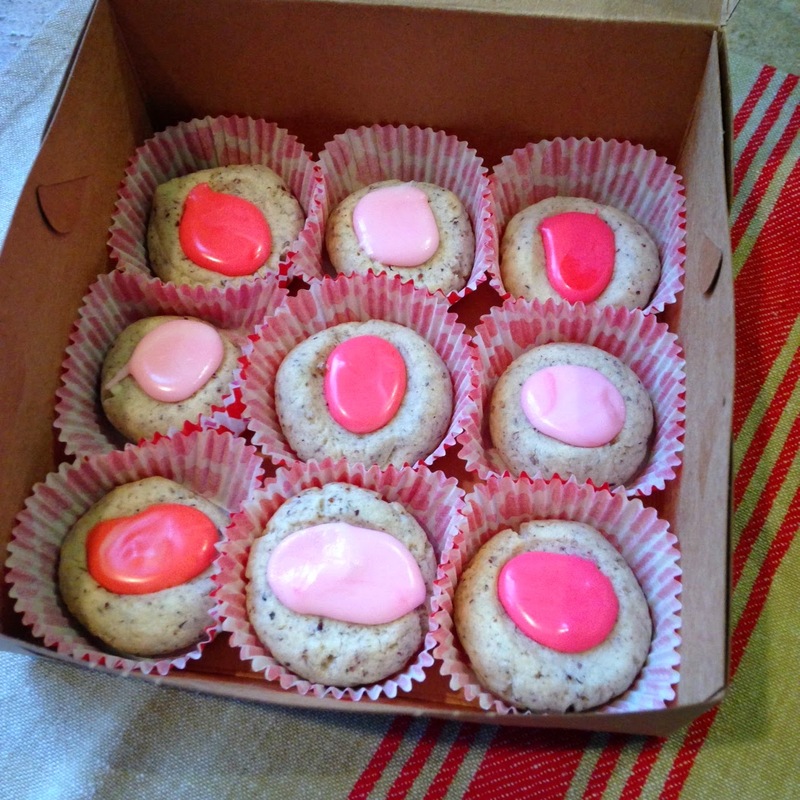 So short, these buttery cookies crumbled easily, but the pastel tinted icing held them together until we got home. Or back to the car. Okay, out of the store. Wade's thumbprint cookies were a staple at wedding and baby showers, too, either tinted to match the bride's color scheme or decorated in a balanced mix of pink and blue to await the new arrival. I think they were available in red and green at Christmastime, too. 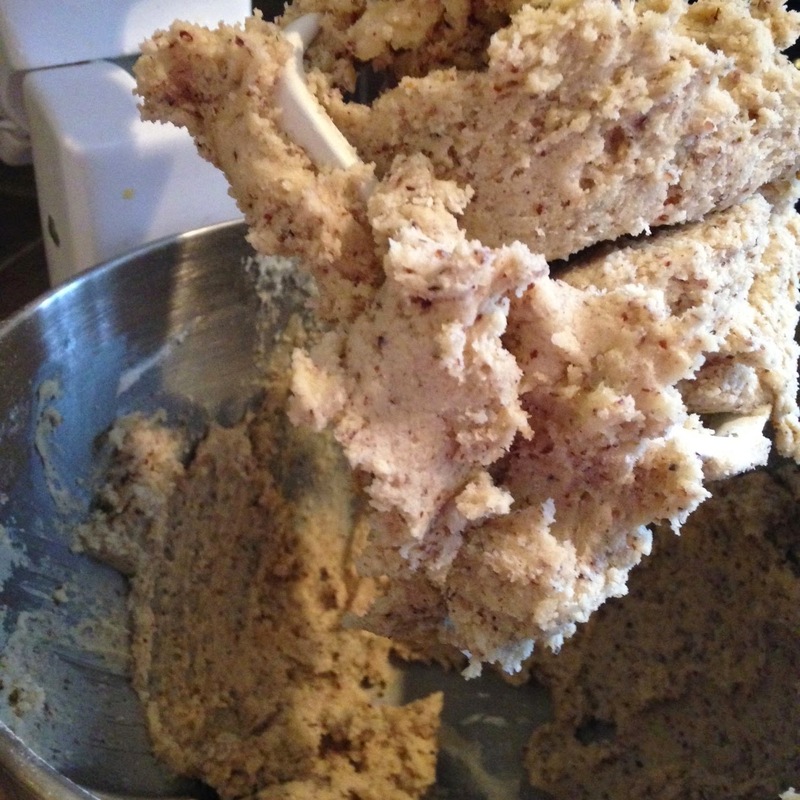 After some tinkering, I came up with my own thumbprint cookie recipe. I think it's just right. Preheat oven to 350 degrees. 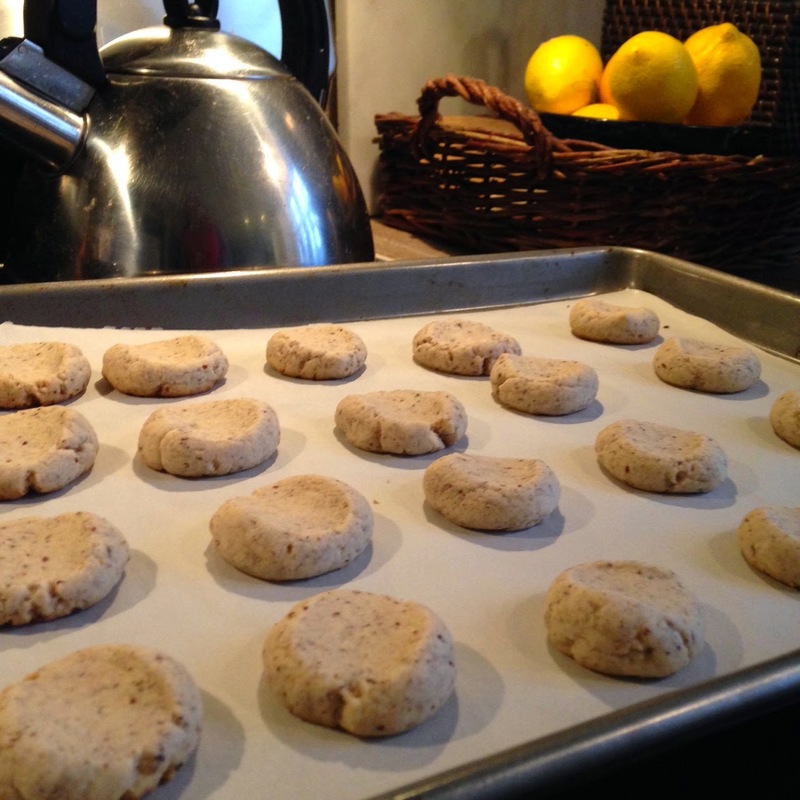 Line two large baking sheets with parchment paper or aluminum foil. Cream the butter and sugar together. Add egg yolks and vanilla extract. 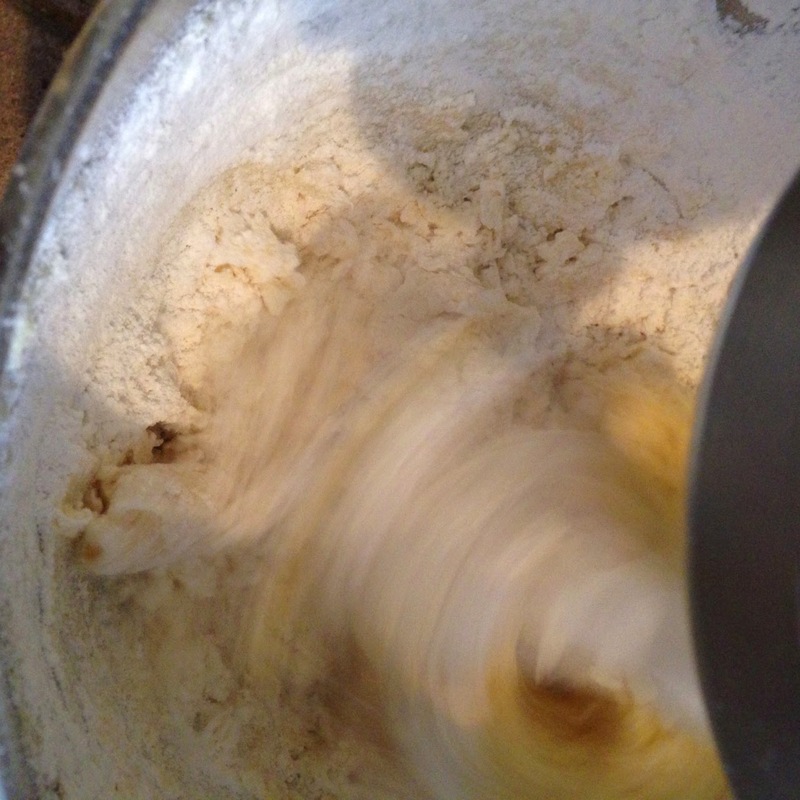 Gradually add the flour and pecan meal (or chopped pecans). Don't overmix. The dough will be very stiff. 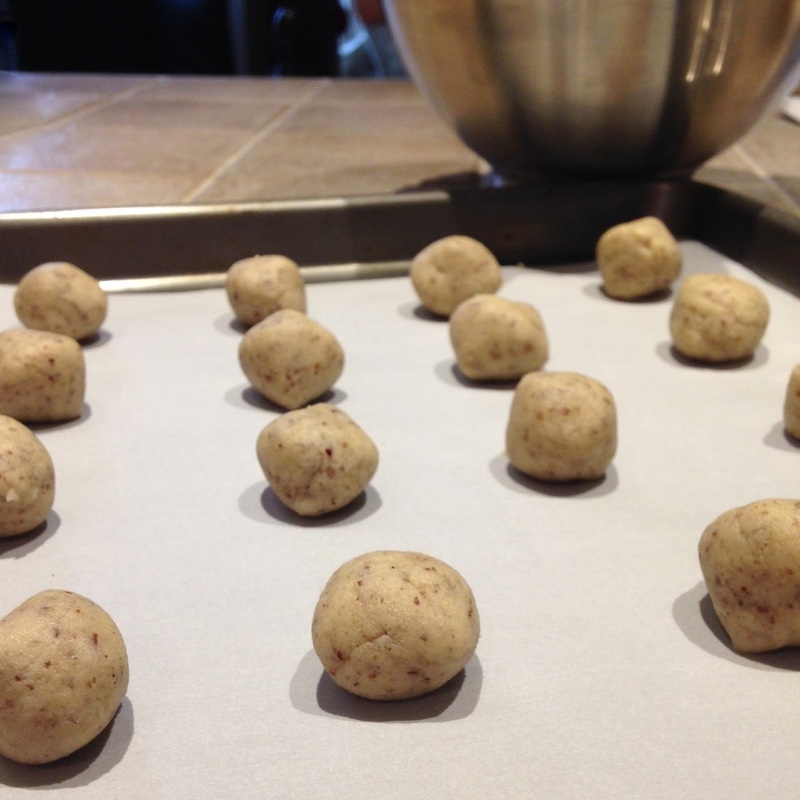 Roll the dough into one-inch balls and place on parchment lined baking sheets. 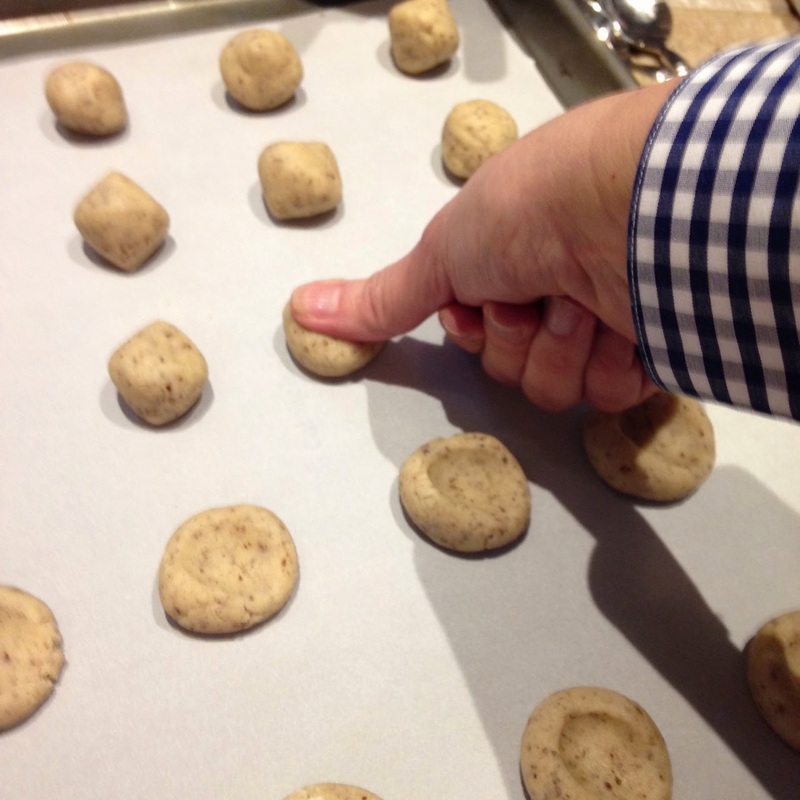 Depress the center of each cookie with your thumb. Bake until just golden on the bottom, about 10 minutes. 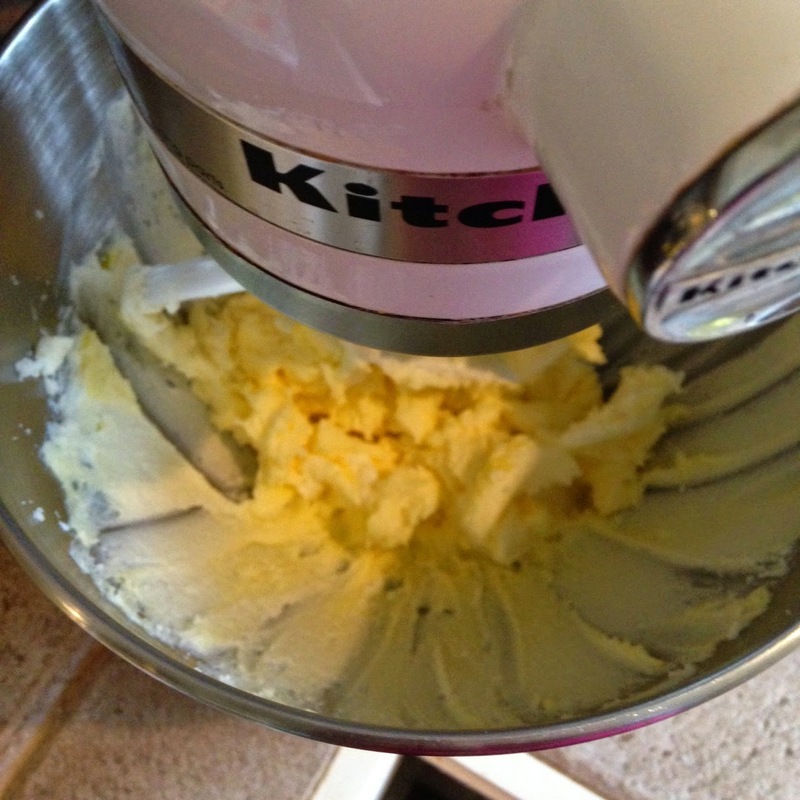 Allow to cool completely while you mix up the confectioner's sugar icing. Divide the icing, depending on how many colors you plan to use. 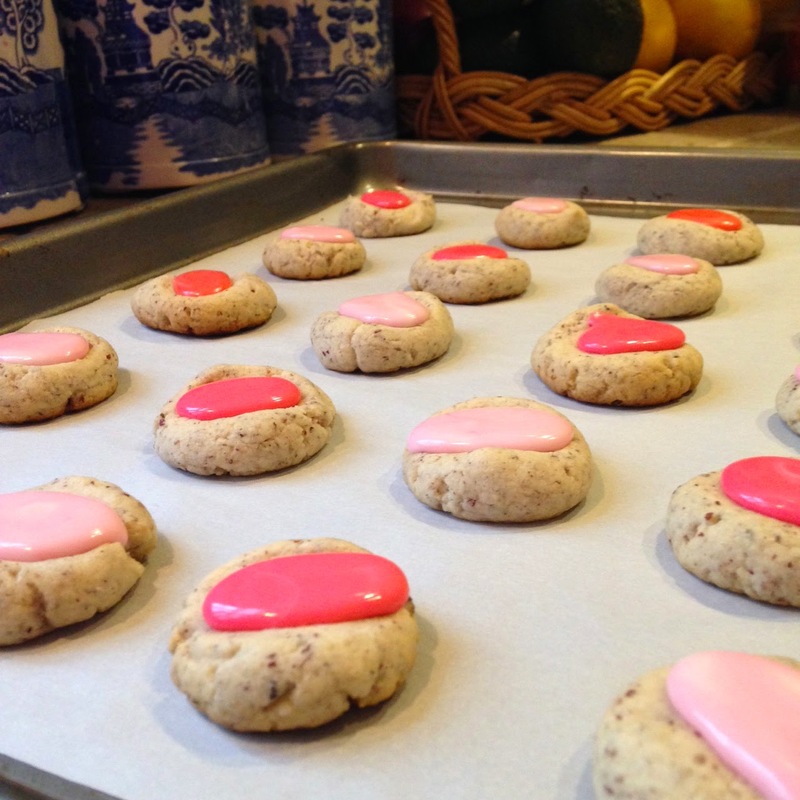 I wanted to make pink and light pink cookies, and this amount was just enough. If you plan to decorate with more colors, you may want to double the icing recipe. 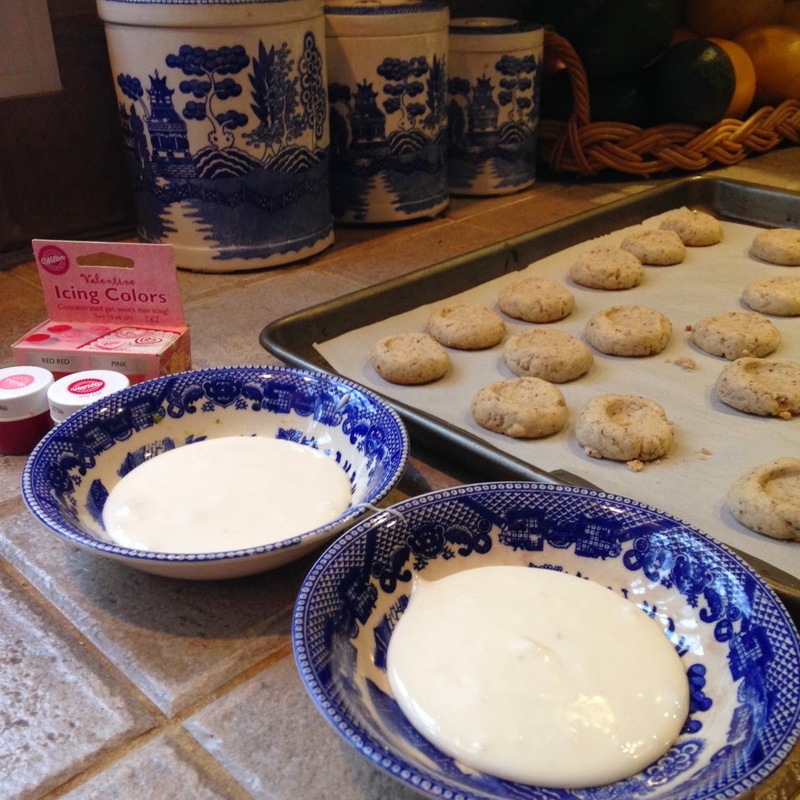 Use a tablespoon to decorate the cookies, and allow the icing to "set" before moving. and headed out to share the love with some sweet friends! Do you have a favorite childhood cookie? 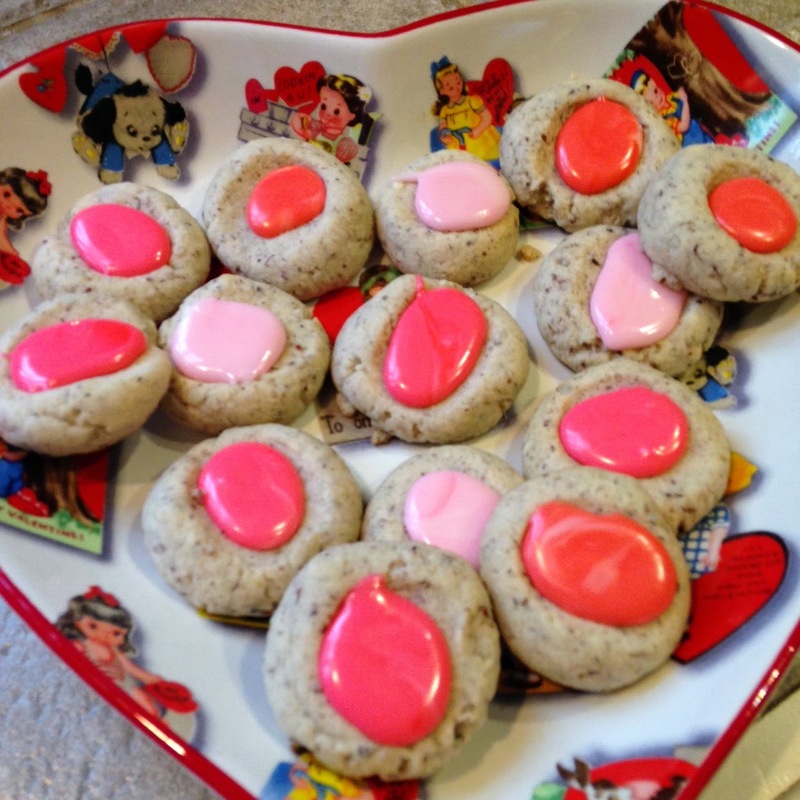 Are you making any special treats for Valentine's Day? First, thanks to everyone who's commented, emailed, or called to welcome me back to the blogsphere. It's heady stuff, and I'm humbled. 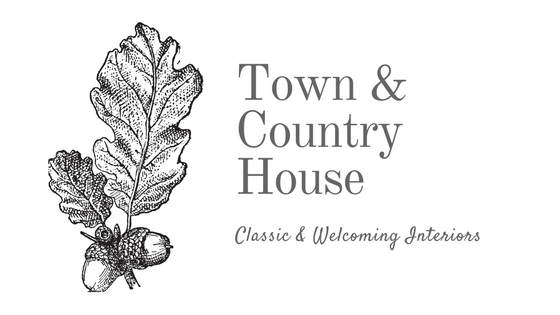 As some of you know or have noticed, I have changed the name of my blog from Town & Country Mom to Town & Country House. I made the change for a couple of reasons. 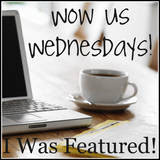 When I first started blogging in 2009, I had no idea what to name my blog, but I had just been described by a dear friend as a town-and-country type. Of course, I took it as a compliment, (especially since I'm more of a very-small-town-and-country type), and decided I'd become Town & Country Mom. Turns out, that "town and country" is fairly strong in the Google keyword/seo word world, and my little blog benefitted from that. It also turns out that there were several other blogs with "Town and Country" in their names, including another Town and Country Mom, who smartly purchased the domain townandcountrymom.com. This savvy Town and Country Mom is quite a bit younger than I am, in the throes of hands-on motherhood, and living in the country, so I knew that when I resumed blogging in earnest I would choose another name. I'm embarrassed to admit how long this actually took. In my defense, I wasn't planning to keep Town and Country as part of the new name. 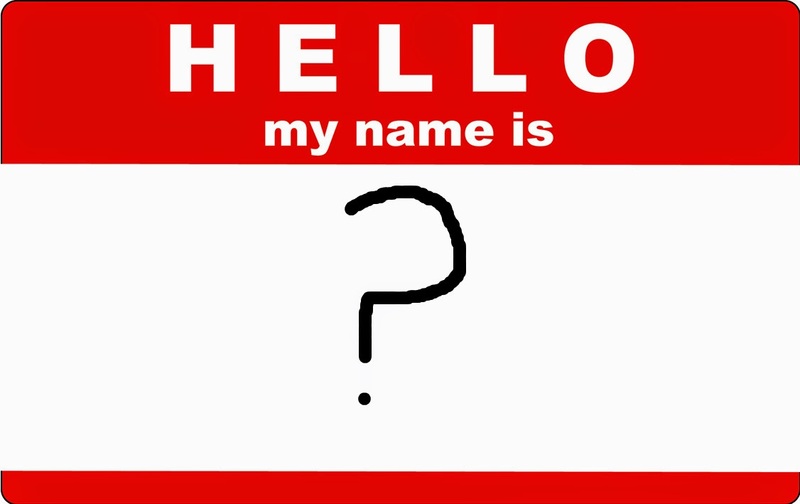 I considered at least 20 other options, but, often, the name itself was already taken, was too similar to another blog's name, or didn't have the domain name available. Then, shortly after the first of the year, I googled Town and Country House, and I was shocked when only a handful of real estate companies appeared before Town and Country magazine's entry. What can I say? Sometimes the obvious eludes me. 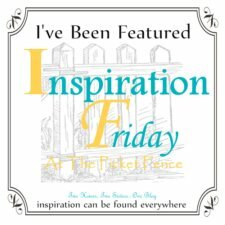 So, here I am again, hoping to write posts that offer a little inspiration, a little lift, a little practical encouragement. I've been reading from the book of Psalms most mornings for the past couple of months, and Psalm 90:12 has been rattling around in my brain lately. The verse says: Teach us to number our days, that we may gain a heart of wisdom. I'll be honest. I'm not exactly sure what that means, but I'll hazard a guess to say that we number, or count, those things that we value. We keep track of what's important to us. By numbering our days, we learn from the past and plan for the future. By appreciating our time here on earth, our heart grows in wisdom. Now for the practical part. 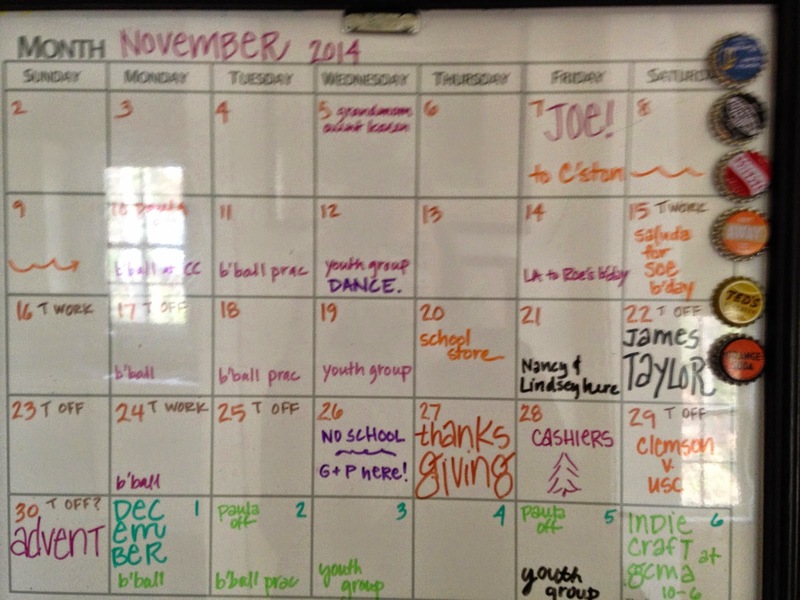 I'm addicted to a new (to me, at least) calendar system. For one thing, it's free. And for another, it shatters the work-life balance myth. Work is part of life, not in opposition to it, and I love that this system acknowledges that. It's called the Bullet Journal, and in this high-tech, Google calendar, Outlook, iCalendar world, the Bullet Journal is refreshingly analog. If you are tired of keeping a work calendar and a personal calendar, a home calendar and a school calendar, then you might just love this thoughtful, flexible system. Watch the video first, and then, if you're interested, check out the Bullet Journal website. The video and site were created by an Art Director named Ryder Carroll, who seems to be simply paying forward the wisdom he's learned from others. Pretty cool. I started using the Bullet Journal system a little before Christmas, and I love it. The flexibility and the ease of indexing are its genius. 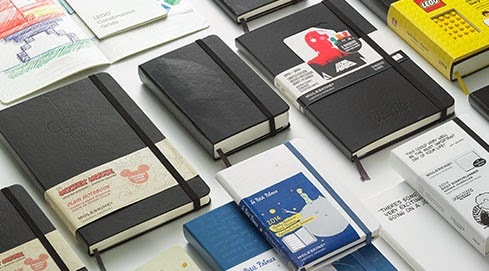 I chose a Moleskine notebook because I knew I'd be able to find more as I filled them, but, of course, there are endless options of journals to suit your style. Have you heard of the Bullet Journal method? Do you have a favorite planner or calendar? No matter what system or method you use, make your days count!